VietPress USA (April 8, 2018): According to the Reuters's report, Syria government yesterday on Saturday, April 7, 2018 used chemical gas to attack and killed at least 80 Syrian people in the town of Douma. "U.S. President Donald Trump said on Sunday there would be a "big price to pay" after medical aid groups reported dozens of people were killed by poison gas in a besieged rebel-held town in Syria. "Many dead, including women and children, in mindless CHEMICAL attack in Syria. Area of atrocity is in lockdown and encircled by Syrian Army, making it completely inaccessible to outside world. 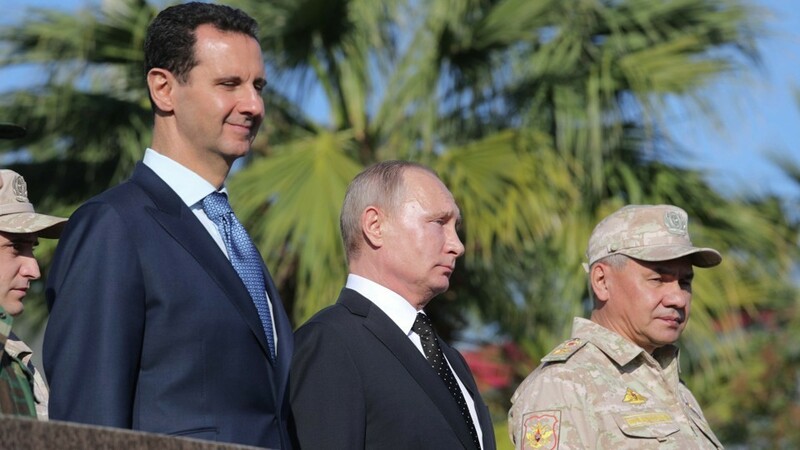 President Putin, Russia and Iran are responsible for backing Animal Assad. Big price to pay," Trump wrote on Twitter. 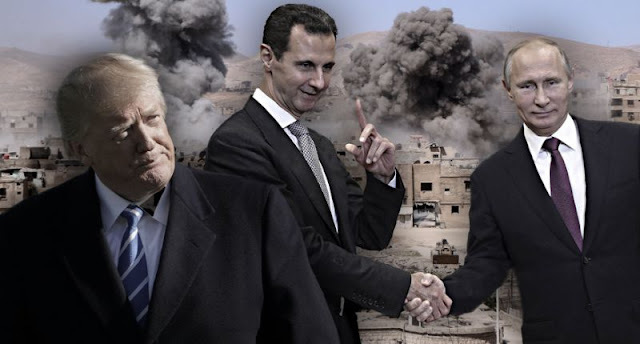 Today on Sunday, President Trump launched tweetstorm to accuse Russian president Vladimir Putin for backing Syrian president "animal" Bashar al-Assad in using chemical sarin gas on Saturday to kill at least 80 Syrian civilians and injured other hundreds people. President Trump blamed Russia and Iran for backing Syrian dictator Bashar Assad after reports of further suffering for Syrian civilians at the hands of their own government — calling out Vladimir Putin specifically. Trump delivered his critique of the Russian leader during a Sunday-morning tweetstorm that covered a variety of topics and struck out at more common targets of Trump’s anger, such as the U.S. news media and former President Barack Obama. According to Syrian medical groups, Assad’s government launched a chemical attack against civilians in the rebel-held town of Douma in eastern Ghouta late Saturday — killing dozens. The Syrian government denies the reports and claims the rebels are fabricating news. In response, Trump coined a new nickname for the Syrian president, “Animal Assad,” and said Putin has a “big price to pay,” despite his well-known reluctance to criticize the Russian president. Trump also condemned Obama for failing to take action to end the protracted Syrian civil war after drawing a proverbial “red line” over the use of chemical weapons. In 2013, the Syrian military used chemical weapons against its own people — killing nearly 1,500 civilians. Critics said Obama’s controversial decision not to retaliate with the military humiliated the United States and emboldened Russian aggression in the region. His supporters, however, generally argue that avoiding further violence was the better choice of two bad options. “We must once more warn that a military intervention under far-fetched and fabricated pretexts in Syria, where there are Russian soldiers at the request of the legitimate Syrian government, is absolutely unacceptable and could have the most dire consequences,” the Russian foreign ministry said.